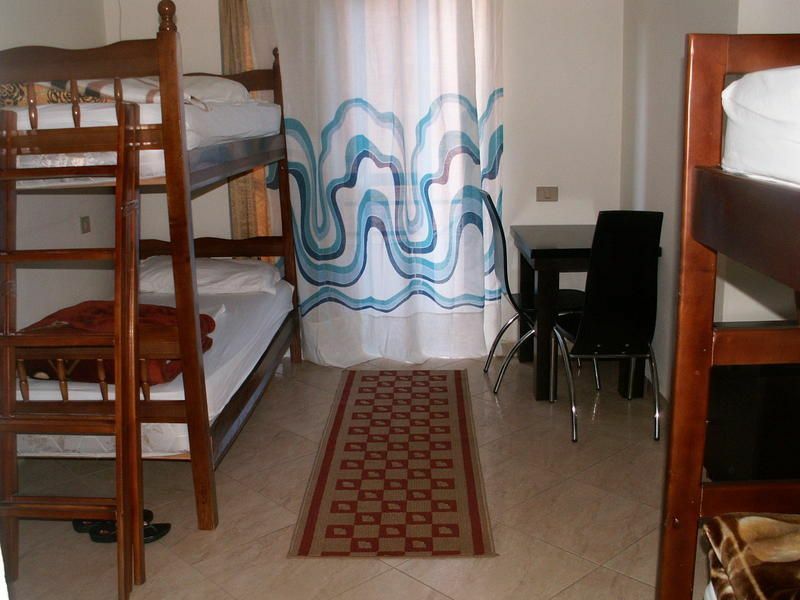 Tirana Backpacker Hostel is located in one of the most interesting streets of Tirana. The green garden with plenty of palms and spruce trees, offers a very relaxing environment. On the ground floor there is a small coffy-bar and a nice and comfort hall in which are situated the computers and also include a small kitchen. The hostel has 6 dorm rooms and each of them has it’s own restroom and showers. 4 of the dorms have balconies from which you can enjoy the calmness of the neighborhood. The rooms have from 4-6 beds each with a total of 30 beds. The staff hsopitality will make you feel at home.You are welcomed. From Scanderbeg square you walk south towards the Taiwan park/ Youth park (Parku Rinia), before entering the Taiwan park you meet with Rruga Myslym Shyri, a nice shopping street with trees at both sides of the road, you take this road. Follow Myslym Shyri Road until you see an “Alpet” gasstation, from the park this will take 5 minutes by foot. In front of the “Alpet” gasstation there is a little side road on your right, which you follow upwards until you see, our sign, Tirana Backpacker Hostel!